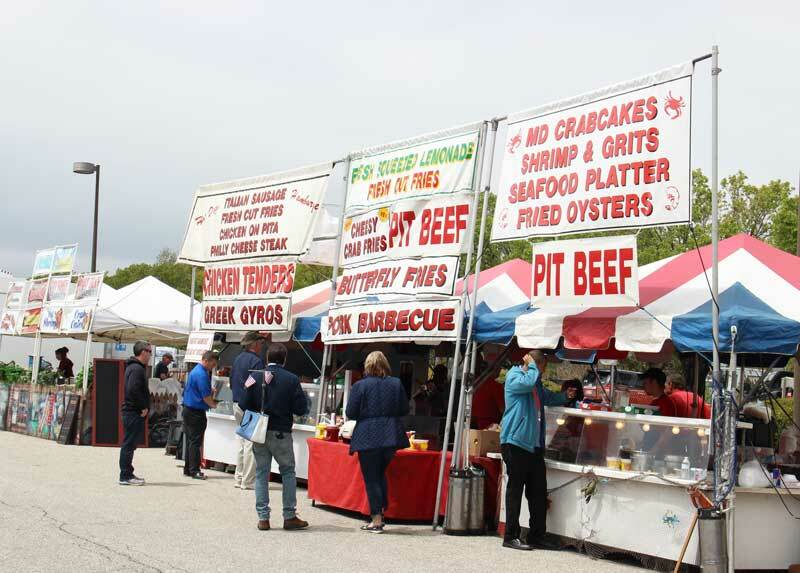 Celebrate the start of the boating season with a visit to the 2019 Bay Bridge Boat Show. With more than 400 sleek new vessels to explore, land exhibits filled with all kinds of boating gear, a demo dock (sponsored by PropTalk!) with 20 boats to try, plus food and fun for the whole family, this show has it all. 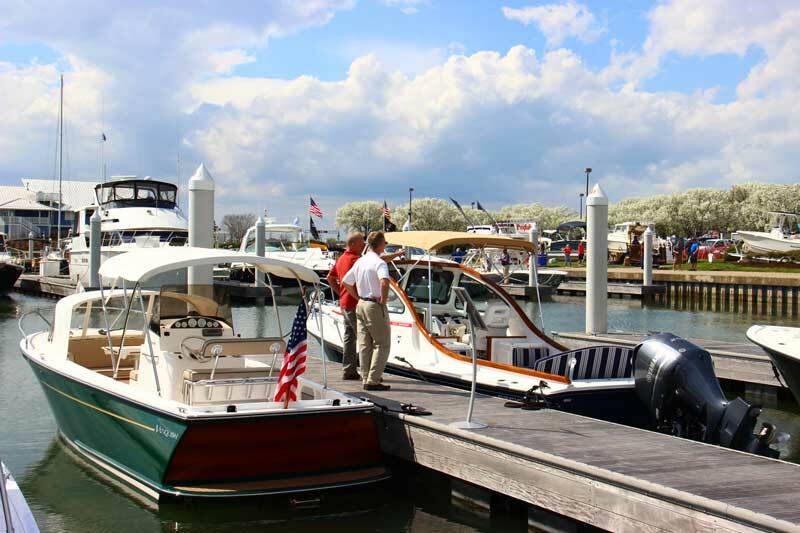 It’s a little smaller than the big Annapolis fall powerboat show, but that might just mean that you’ll find it a little easier to get some face time with the experts and pros, who you’ll find on every dock. 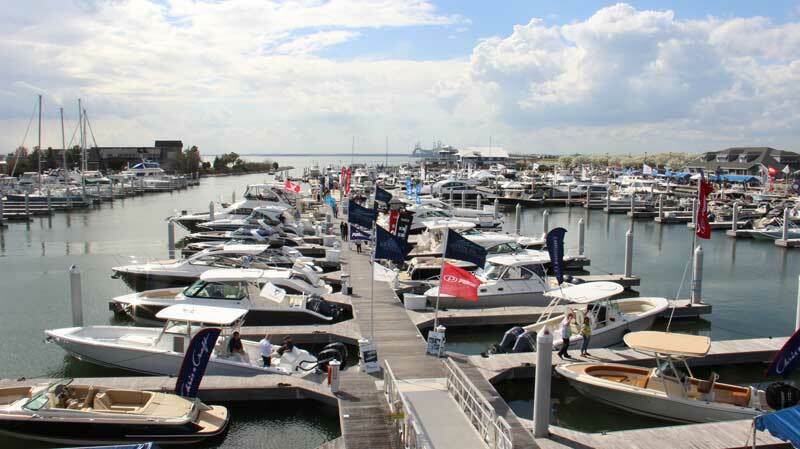 The Bay Bridge Boat Show is the largest spring in-water boat show north of Florida! Friday, April 12, 10 a.m. to 6 p.m.
Sunday, April 14, 10 a.m. to 5 p.m.
Tickets can be purchased online at annapolisboatshows.com or at the show gate. From the Western Shore, take the first exit on the right after crossing the Chesapeake Bay Bridge. Take Route 50 to Kent Island, Exit 37, and follow the signs for Boat Show parking. Follow signs to free parking at Matapeake Business Park (Friday) or Kent Island High School (Saturday and Sunday). Shuttle busses run continuously beginning at 8 a.m. Limited on-site parking costs $10 cash to benefit Kent Island High School Swim Team. PropTalk’s Demo Dock will be bigger and better than ever! 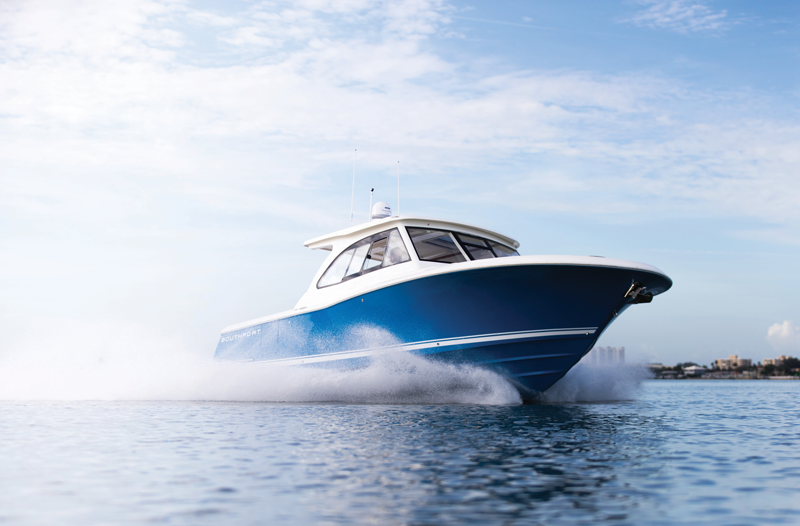 Ride with the pros as dealers conduct demonstrations and sea trials. Our Demo Dock is easy to access and features new model boats, outboard engines, pontoons, center consoles, bow riders, jet boats, catamaran deck boats, and stabilizing systems. Try before you buy! Get Your Captain’s License: 11 a.m.
Docking and Line Handling: 1 p.m.
No pre-registration, but seating is limited; first come, first served. Three different courses focusing on basic boat handling skills: introduction to boating; women making waves; and precision docking and boat handling. Fourteen three-hour sessions will be offered. Cost is $149. Ages 21 years and older. Pre-registration required. Space limited. Interactive children’s area with moon bounce and face painting. Food court, pool bar, and beer stations. Exclusive access to a relaxing lounge area with comfortable seating, fine cuisine, wine and cocktail tastings throughout the day. Cost is $65, or $80 with reserved parking pass. For ages 21 and older. Most of our staff has been manning the PropTalk booth at the Bay Bridge Boat Show for many years, so we’ve learned a thing or two about how to navigate the piers, land spaces, and vendors. Here are eight tips we’ve learned for winning the day. Wear shoes that can be easily slipped on and off. Many boat brokers ask you to remove your shoes before boarding. Dress for the weather, which means be prepared for anything! We suggest layers with an outer shell that’s wind and water resistant. We’ve enjoyed sunny, warm days and weathered through some chilly, windy days wearing boots and a jacket. Bring cash for the food court and small items. Stop by the PropTalk and FishTalk booth, F32, for free magazines and stickers. Sign up to be on our email list or home delivery. Meet our photographers and editors, and chat about your favorite boat models and where the fish are biting. This year the closest parking will cost you $10, but the proceeds benefit the high school swim team. If you opt for the free lot at Matapeake Business Park or Kent Island High School, follow the signs and then board the free shuttle. Don’t miss the awesome Demo Dock, sponsored by PropTalk! With more than 20 boats to try before you buy, stopping here is a must-do. Talk to the boat brokers and dealers. The first hour of the show is often a good time to catch them, or call ahead for an appointment. Be sure to catch the beautiful sunsets over the Western Shore! If you're hoping to chat with boat dealers and brokers, early in the show if often a good time to catch them. The Dry-Dock SeaPen allows boat owners to dry-dock their boats at water level without having to lift the boat out of the water. The SeaPen allows you to keep your boat in pristine condition, with a hull that’s free of bottom paint and marine growth. 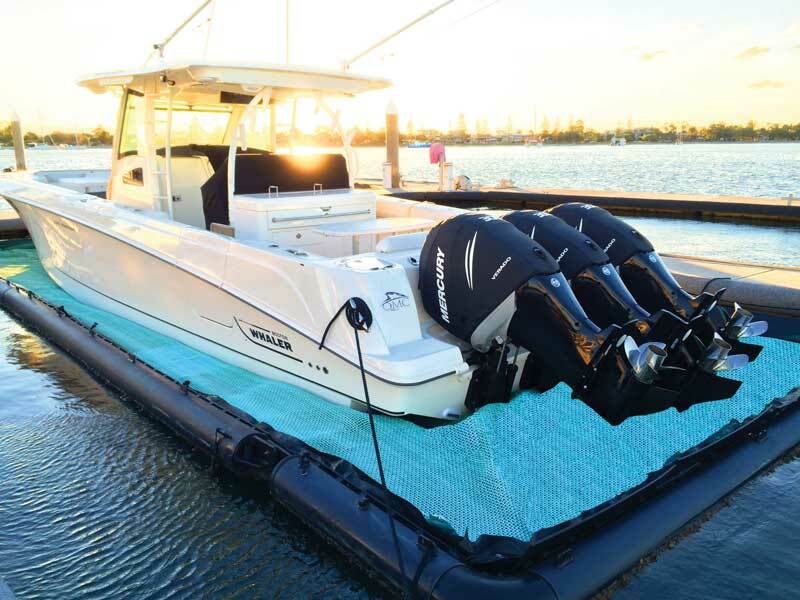 It features a remote controlled pump system to remove water and maximize air space around your boat. Check out this low-maintenance product at Booths E1-3. 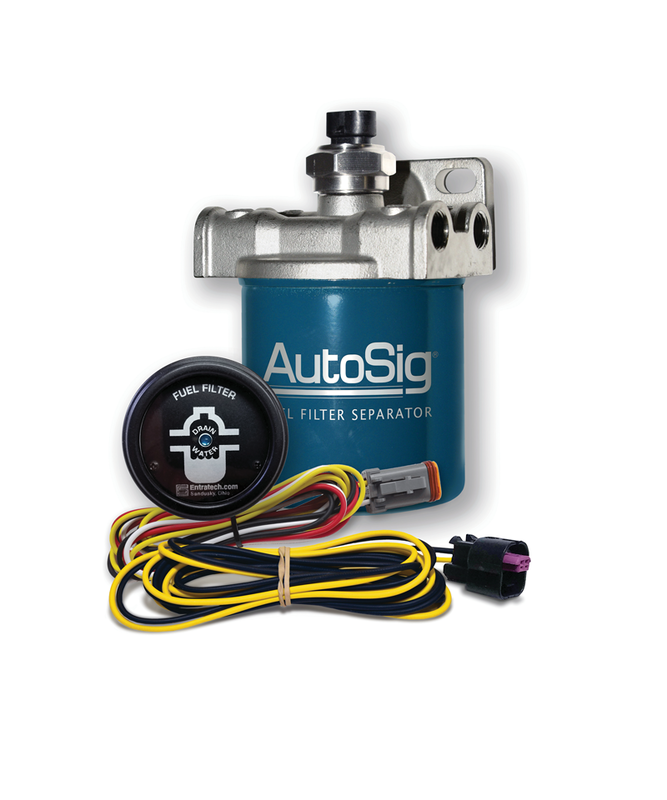 AutoSig Smart Fuel Filter System is ABYC-certified and designed for diesel or gasoline fuel systems. What if your fuel filter sent you a notification before any harm was caused to your engine? With an internal water probe, this device alerts the operator when there’s water in the fuel. Meets standards for inboard and outboard marine applications. See this handy product at Tent F9A/F10. 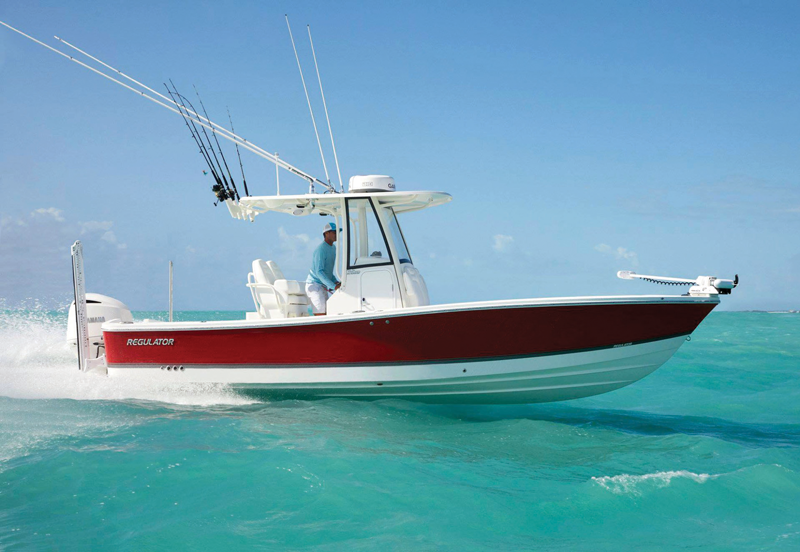 Stay tuned for more new boat and product announcements as we get closer to the show.